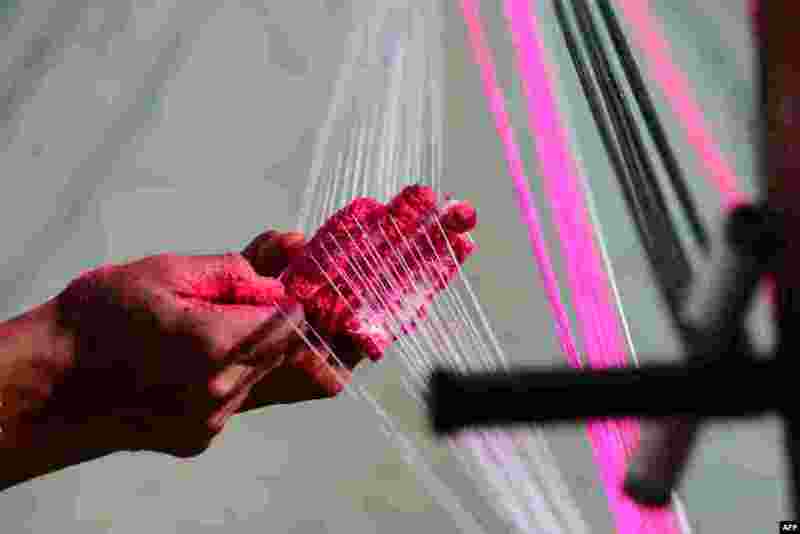 1 A worker prepares strings coated with powdered glass used for flying kites ahead of 'Uttarayan' festival in Ahmedabad, India. 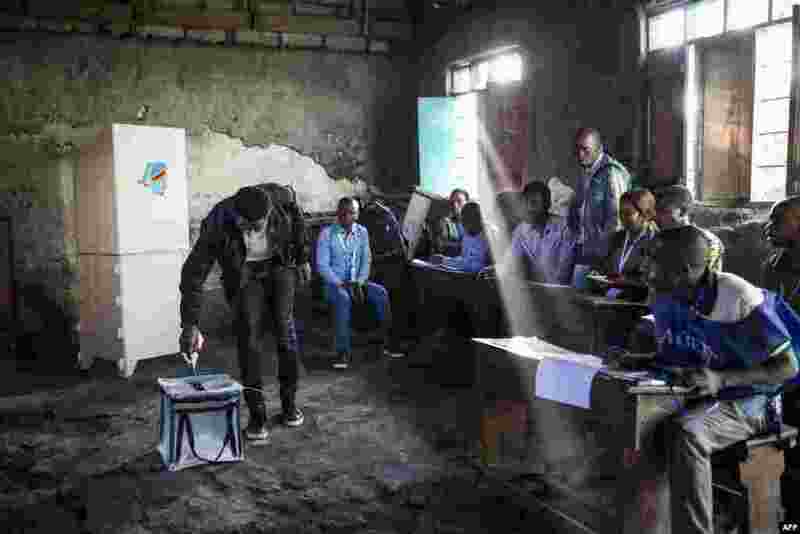 2 A man casts his vote at the Katendere voting center in Goma, Democratic Republic of Congo. 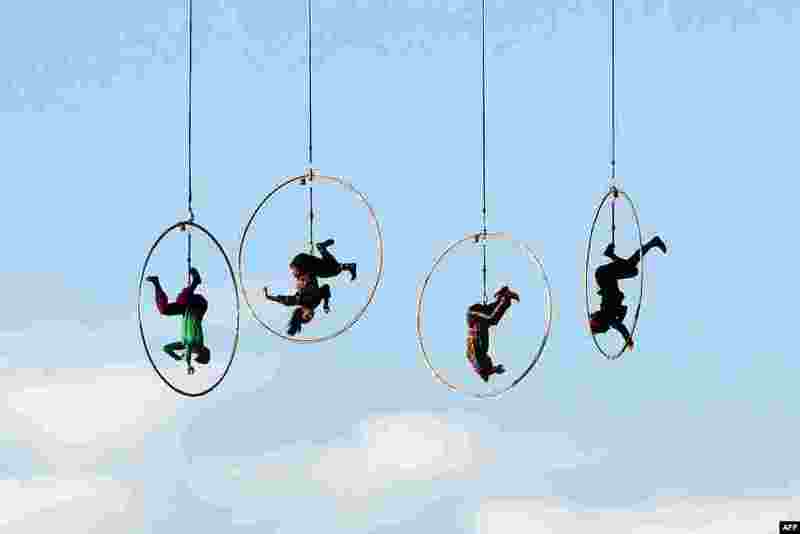 3 Aerial dancers of the Kitonb theater group, hanging from a crane, perform during rehearsals ahead of their New Year's show at the Circus Maximus in Rome, Italy. 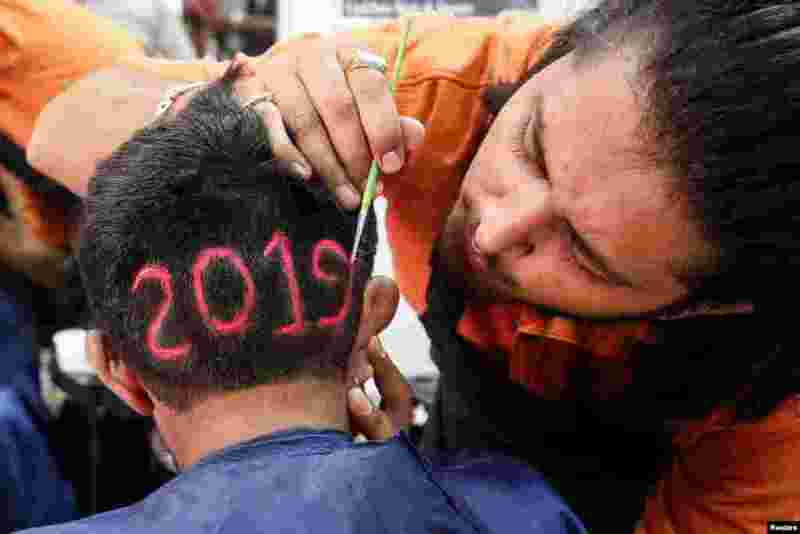 4 A man applies color to a haircut with "2019", to welcome the new year at a barbershop in Ahmedabad, India.